BabelMap is a free character map application for Windows that allows you to browse through the entire Unicode character repertoire of over 110,000 characters, or search for a particular character by name or by code point. Characters can then be copied to the clipboard for use in any Unicode-aware application. It also provides many useful features and special utilities, as described below. 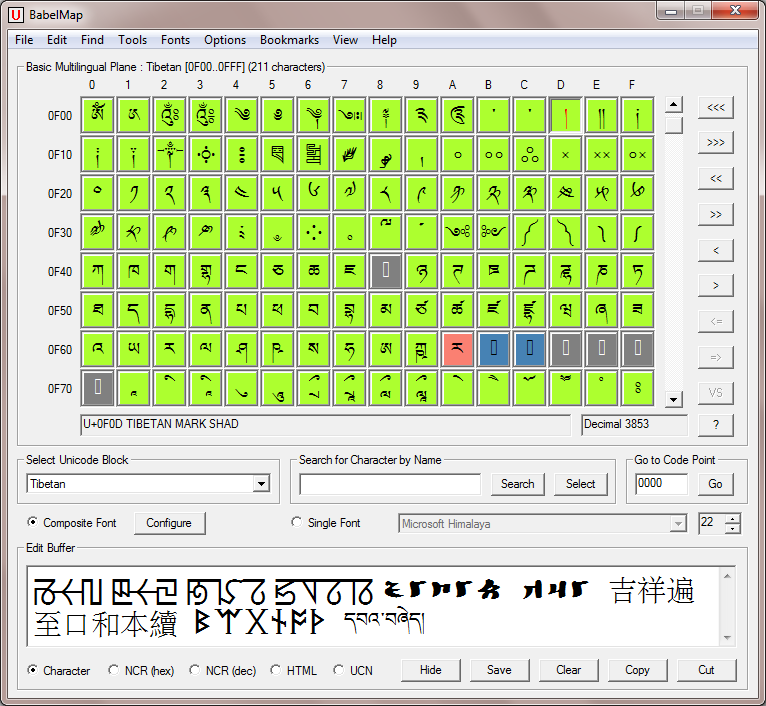 BabelMap supports the most recent version of the Unicode Standard, currently Unicode 6.2 (released September 2012). I've added BabelMap Portable to the database. If it's useful for you, vote @ http://www.portablefreeware.com/index.php?id=2352. You mean the PortableApps version?